As the resident board game-inspired Role-playing enthusiast, I felt compelled to check out Armello, a recently released title that hones in on the competitive aspect of the sub-genre. 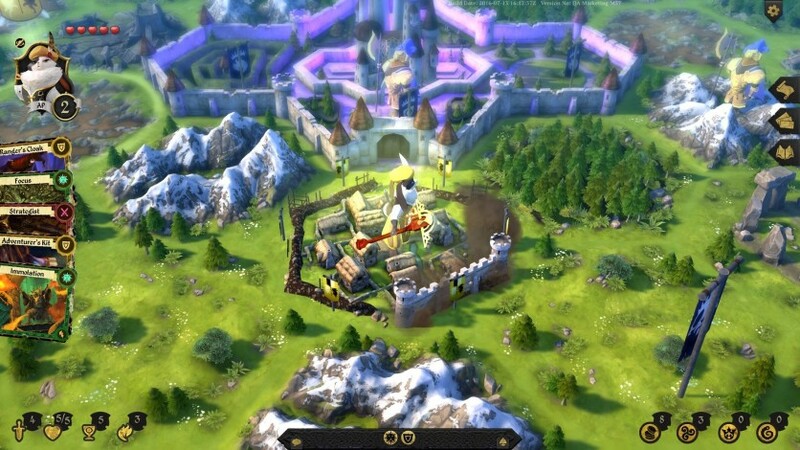 While many tabletop-centric Role-playing titles use the format to embellish their narrative, or hearken back to simplistic, yet reliable combat mechanics that focused dice tosses and skill checks, Armello instead presents a simple premise with a multitude of avenues for victory. Does its achievement system allow for a steady expansion on its deep fundamentals, or does it fail to capture what makes for a compelling multiplayer experience? 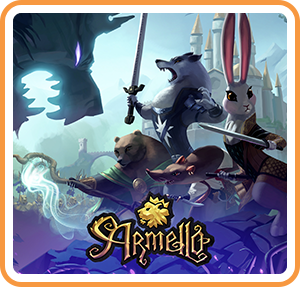 Armello tasks players with taking on a role of one of four clans: the wolves, rabbits, mice, or bears, as they attempt to bring balance to the Kingdom of Armello. This can be done via a number of objectives, all of which essentially revolve around the kingdom’s now-corrupt king. There’s a layer of lore here, but it doesn’t go very deep, existing to serve as a win-state for the player rather than tell a compelling narrative. The grand journey, and that which players will find themselves focusing upon, is the one that unfolds during gameplay. Players can either slay the king for an early win-state, or inherit his title as the lord of corruption, accumulating Rot, a plague that eats away at the land and those deceased. They can also outlast the king as the highest ranking member of the court, gaining Prestige among the people by completing quests and gaining the role as private council, or attempt to purify the king and free the land of Rot by collecting rare and precious magic artifacts. Each of these objectives is attained in a particular way, for example: by gaining equipment, party members, and other benefits in order to survive a battle with the vastly-powerful king, or accumulating Rot through deaths, sabotage, and absorption of the Rot-manifested abominations that spawn around the kingdom. They may search the dungeons of Armello for artefacts and collecting four with which to purify the kingdom, or even just complete quests in order to gain the favor of the king. Because of this, priorities can and often will shift depending on what other players- of which there are four in a standard game- pursue or attempt to prevent. A player turn consists of expending their allotted Action Points, the number of spaces they are able to move. Players can stop at towns in order to claim them as their own and contribute to their income at the end of each day, enter empty spaces with terrain debuffs, or attempt to reach their respective quest spaces, which can offer rewards and increase Prestige. Turns for all players take up half of a day, which is important, as Armello uses its own signature symbols during dice tosses: swords, shields, sun, moon, Rot, and Magic emblems. These symbols are used in checks to surmount certain encounters and quests in the field, as well as in combat. Sun and moon symbols count as attacks during their respective times of the day. Combat itself is initiated whenever a character attempts to join another on the same space, and occurs even when sharing spaces with the King’s guards and Rot-abominations. One can improve their chances in combat by drawing from one of three decks at the start of every turn- equipment, spells, and sabotage. These cards have emblems that match the Armello symbols, and can be burned- both literally and figuratively- in order to add a dice of their symbol to combat or quest scenarios. Equipment can be placed on a character in order to add dice symbols permanently, spells grant passive benefits during turns, and sabotages can be used against other players. These dual-purpose cards are essential for getting a leg up on other players, but they aren’t completely accessible from the first game. This is where the real progression elements of Armello come into play. Although Armello has plenty of replay value right out of the gate, the developers have also implemented an overarching meta-objective system, where players can unlock more options for their character loadout by completing specific tasks in-game. Winning a match via Prestige, for example, or using a certain amount of spell cards will unlock further options down the line, meaning there’s plenty of reason to play single player in order to discover all of the quests, items, and cards in Armello. Of course, with a game as complex as what has been established, it may be hard for a newcomer to come to grips with Armello if a friend introduces them to the game. The tutorial for Armello is extremely thorough, but also an experience in itself to complete, introducing each of the win-state objectives, quests, combat, and card usage. Luckily, the developers have decided to feature an easy way to avoid confusing any newcomers who might want to jump in and play a game with friends: namely, they chose not to have a local multiplayer mode. …Jokes aside, the inability to play locally is somewhat baffling. There are a few possible reasons for this: the way the controls are mapped doesn’t lend itself to single Joy Con play, and the developers may not want players to be able to view their opponent’s card hands. The most likely explanation for this, however, is that Armello is a port of a PC game, a device that doesn’t lend itself to local play all that well. With this being said, the lack of local multiplayer seems like a huge missed opportunity for Armello and the pick-up and play nature of the Switch. Online multiplayer means that everyone is likely familiar with the rules of the game, but it also adds an element of unfamiliarity to the mix. Players need to make themselves available for extended periods of time, as turns can take a bit of sorting out and keeping track of. Mostly, though, it means that should any group of friends wish to play the game together, four separate copies and Switches are required. Atop the expansive amounts of DLC available for Armello, there’s no doubt the title has the potential to be financially successful. However, its lack of player-friendly features makes the complete experience a risky gambit, and no dice check will improve its chances of being a better multiplayer experience. With all of this being said, Armello is still a fun experience. The number of character options present in the base game alone allows for plenty of variety and strategy in how you both plan and adapt to your objectives. Learning what small folds are present in equipment loadouts, accessible card draws and usages, and the ebb and flow that goes into settlement occupation and map exploration can take several games to get a hang of, and in that sense, having local multiplayer might be too herculean a task. Getting every newcomer up to speed requires a fair amount of experience. But with all that said, it still feels like the game could have been very engaging if local multiplayer were possible, especially among a group of Role-playing enthusiasts. If there is one thing I can say with confidence, it is that Armello has enough content and variety, as well as surprisingly snappy game lengths, to make for a lasting single-player experience. While I can imagine playing others online would make for some suitably strategic and maddening entertainment, hoping that three or more friends are willing to take the plunge and enjoy the online offerings might be a hard sell. 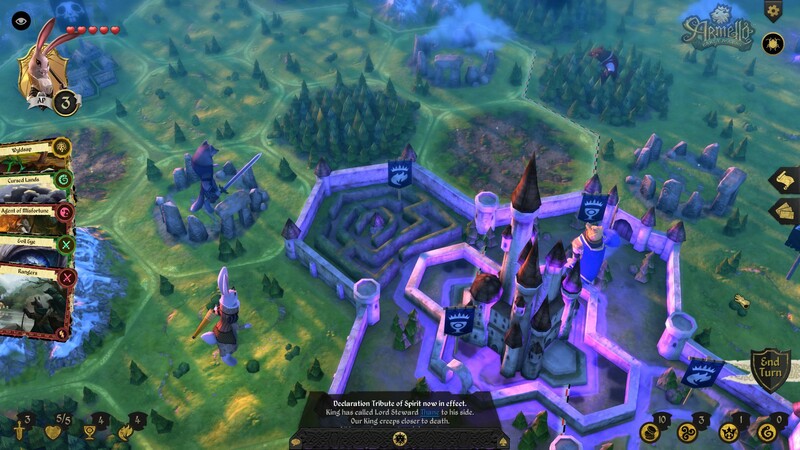 If you are unable to show how the game works without going through a lengthy tutorial and there are no cooperative elements, the idea of Armello is its strongest selling point. Having a board game that features more complex Role-playing elements might be an appealing prospect, but it lacks the intimacy and immediate response that a co-operative, local party game benefits from the most. Many bemoan the lack of online options for more recent Mario Party titles, but the better product is one that features both in some capacity, rather than one mode only.